Kerr Apex ID is a compact and modern apex locator used to locate the anatomical apex during endodontic therapy. This third-generation digital apex locator is designed with a zero user-set point and continuous calibration. It offers accurate and uninterrupted readings in real time. It provides customizable settings to obtain precise measurements. Apex ID has been designed to work under any canal condition including dry, wet or bleeding canals. It also provides precise measurements even when the canal is filed with saline, EDTA, NaOCl or chlorhexidine. No need for constant monitoring of the visual display as there will be an audio signal which would let you know when the file has reached the preferred zero point. This audible sound signals provide a more intuitive user experience. The device small and easy to use. The measurements are displayed in 0.1 mm are reliable. The weighted base offers better stability of the device. 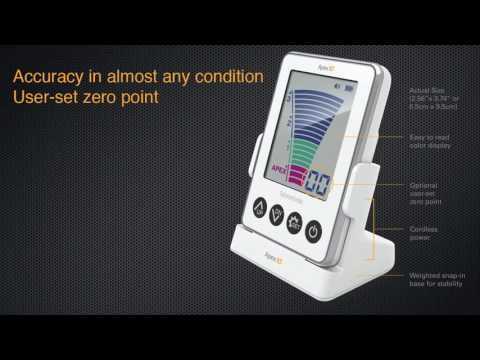 User set “Zero Point”: Customizable settings according to the clinical judgement on the needs of a patient. It needs no constant display monitoring as an audio signal can let you know the distance you have reached especially when the file reaches the preferred zero point. Accurate: The device works in every canal condition and provides a precise measurement. Whether the canal is dry, wet, bleeding, filled with saline, EDTA, NaOCl, Chlorhexidine, Apex ID can still deliver exact, consistent and dependable readings.